The Black Friday Sale continues at Overclockers UK, with a plethora of new products at some very special prices. There's plenty to get through, so without further ado lets get started. 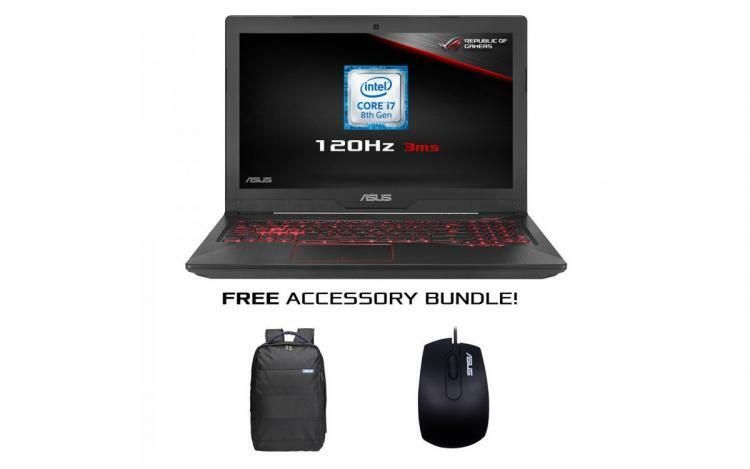 ASUS TUF is a brand that deserves a great deal of attention. Incorporating a range of PC hardware that emphasises affordability and broad compatibility standards, the brand is appearing on devices from motherboards and RAM through to CPU coolers. Two keenly priced laptops ASUS TUF laptops are part of OCUK's Black Friday sale, and there's quite some contrast between the two. To start with, the ASUS TUF FX504GD is an affordable mainstream 15.6" gaming laptop that's had £100 taken off its ticket price. Complete with 1080p screen, NVIDIA GeForce GTX 1050 2GB graphics and 8GB DDR4 RAM alongside Intel's Core i3-8300, it marks an excellent entry-point into popular eSports gaming gaming on the go. Not only that; the inclusion of a 16GB Intel Optane SSD will provide the system with a nice boost to overall responsiveness. It was £799.99, and is now available for £699.95 inc. V.A.T. But perhaps you're looking for something with a little more kick? Well how about the ASUS TUF FX504GM. 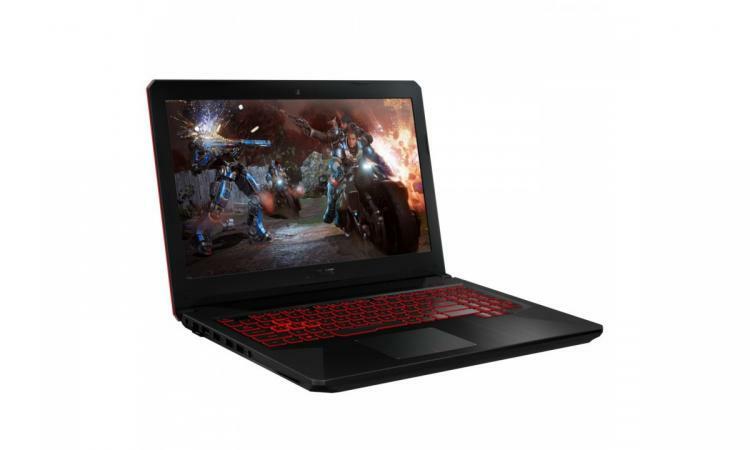 Most aspects of the baseline FX504G model have been upgraded to now include a GTX 1060 6GB GPU, 120Hz 1080p screen, six-core Intel Core i7-8750H and 256GB SSD. Great for mainstream 'Triple-A' gaming, the FX504GM has had £200 taken off its price to come in at £999.95. We're not done yet. Yesterday OCUK added another deal that you might be interested in if your GPU cooling needs a kick into another gear. 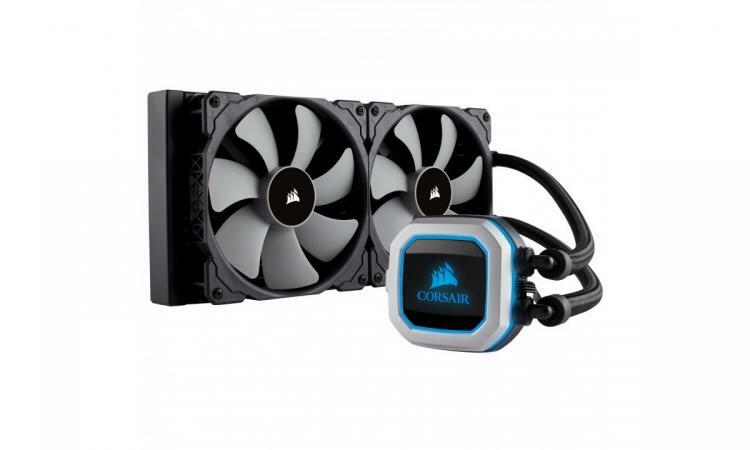 They've taken over 20% off the price of Corsair's Hydro Series H115i PRO RGB liquid cooler, a model with 280mm radiator that's compatible with Intel LGA 115x and 20xx as well as AMD AM4 and older sockets. The configurable RGB in this unit is located on the pump rather than included fans, and so would be ideal for a system with components on prominent display. Pick it up for £104.99 inc. V.A.T. Continuing the cooling category are three attractive cases which have been added to the Black Friday sale over the last couple of days. Leading the trio is the be quiet! Dark Base 700 RGB which has been bundled together with a free Dark Rock 4 CPU cooler. The Dark Base 700 is an exceptional full tower E-ATX case that netted our Premium Award for its extensive suite of features and build quality, while the Dark Rock Pro is one of the best (and quietest) air coolers we've ever tested. The two together at available for just £176.99. If something a touch idiosyncratic is up your alley, and with a tiny footprint to boot, look no further than the gun-metal grey Phanteks Enthoo Evolv Shift X (also in black). 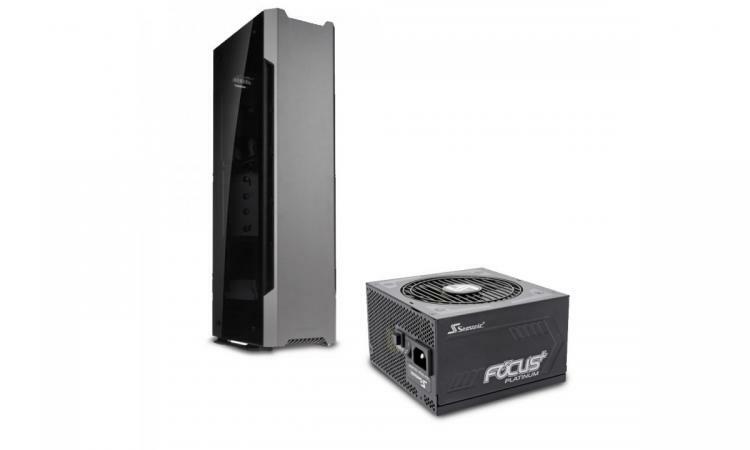 This tall and slim mini-ITX case has been bundled with Seasonic's Focus Plus 550W Platinum, a compact modular PSU that's a great partner for the Evolv Shift X's mini-ITX requirements. Together they would have been £241.90, but for a short while they're 33% off at £159.95. But perhaps something a little more mainstream is in order. There's plenty of competition out there, and yet you might be interested in the Levante from Kolink. Almost £20 off at £52.99 inc. V.A.T., the Levante is an ATX case that emphasises aesthetics and smooth air flow characteristics to provide optimal unobstructed air cooling to ATX systems. 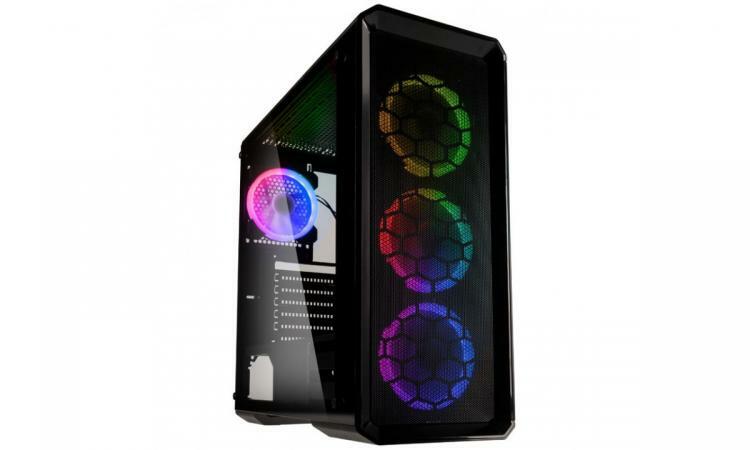 It's bundled with four Ring Rainbow 120mm RGB fans (plus a controller unit), and as a twist features tempered glass side panels on both left and right. What's a gaming setup without a comfy place for your posterior? If your buttocks need a bit of a pick-me-up how about one of noblechairs' ICON series, which has been squeezed to below £300. The ICON series have the highly adjustable design you associate with gaming chairs, but are also furnished with premium perforated PU imitation leather. The sale model is a striking mono-chrome white/black design which we imagine will be particularly sought-after by gamers of all stripes. It's priced at £289.99 inc. V.A.T. Finally, some quick housekeeping to mention a few more OCUK Black Friday deals you might be interested in. Overclockers UK's full list Black Friday Sale listing can be found here for perusal at your leisure. More is added every day, so be sure to check back and see the latest deals.